Summit Racing now carries Aeroquip Black Starlite Hose and Hose Ends. Startlite hose is durable, flexible, and lightweight with a Nomex® blended outer cover and AQP inner tube that makes the hose up to 45 percent lighter than braided stainless steel hose. Summit Racing now carries Aeroquip Black Starlite Hose and Hose Ends. Startlite hose is durable, flexible, and lightweight with a Nomex® blended outer cover and AQP inner tube that makes the hose up to 45 percent lighter than braided stainless steel hose.More importantly, it allows the hose to withstand higher temperatures for longer periods of time versus a conventional braided stainless hose. 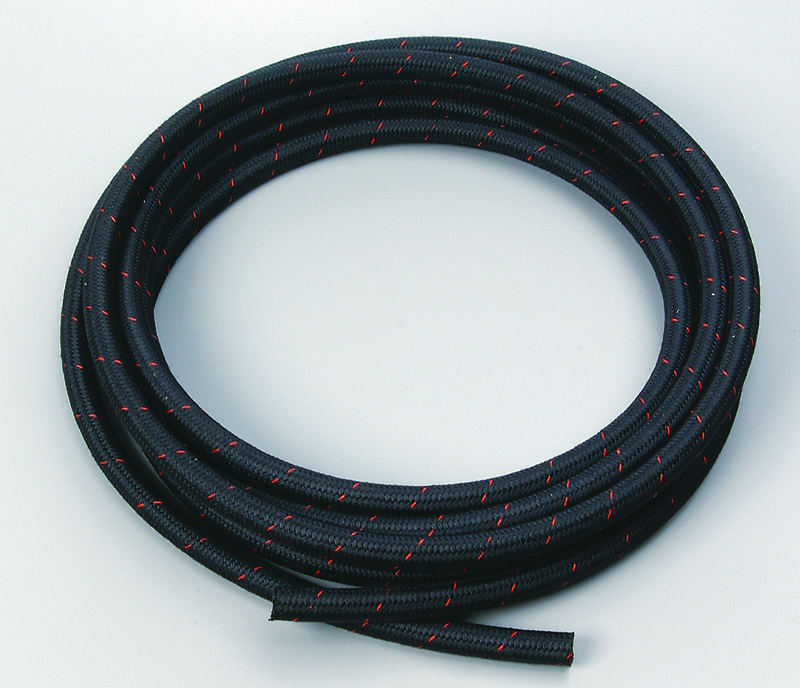 Aeroquip makes Startlite Racing hose with an all-black covering. This makes the hose an excellent complement to a blacked-out engine bay, and helps hide the occasional grimy fingerprint or grease smudge. Aeroquip also makes black hose fittings specifically for its Startlite hose. The aluminum fittings have a one-piece design for improved flow and less chance of leakage. They come in a wide assortment of configurations in reusable swivel or crimp style versions. 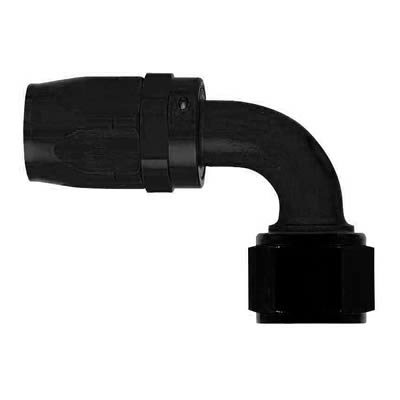 Aeroquip Black Startlite Hose and Hose Ends are available in sizes -4 AN to -20 AN. The hose is easily trimmed by shears and can be assembled by hand or machine. Startlite hose is compatible with petroleum and synthetic lubricants, hydrocarbon fuels, and engine coolant.